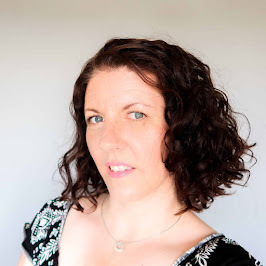 We live in a 3 bedroomed house with 2 double bedrooms and 1 very small box room. 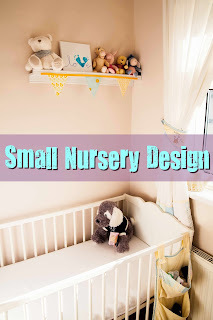 When planning the nursery we decided to decorate the small bedroom for the baby. 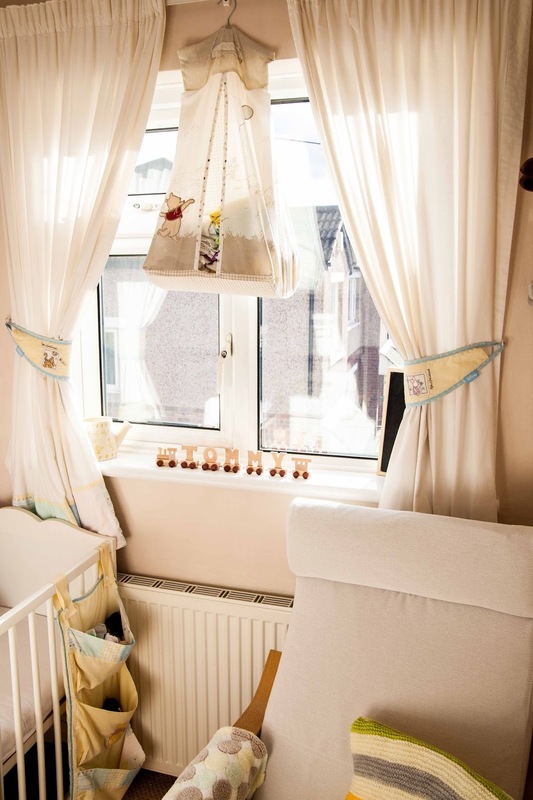 We could have put them in the other double bedroom and had lots of space for proper nursery furniture like a wardrobe and nappy changing station. But we decided we'd put them in the small bedroom so we could keep the 2nd double bedroom for guests to stay in when we had visitors. No doubt eventually we will move our little man into the spare bedroom when they're older, but for now they don't need loads of space. Although babies don't need loads of space, they still come with lots of things to store. 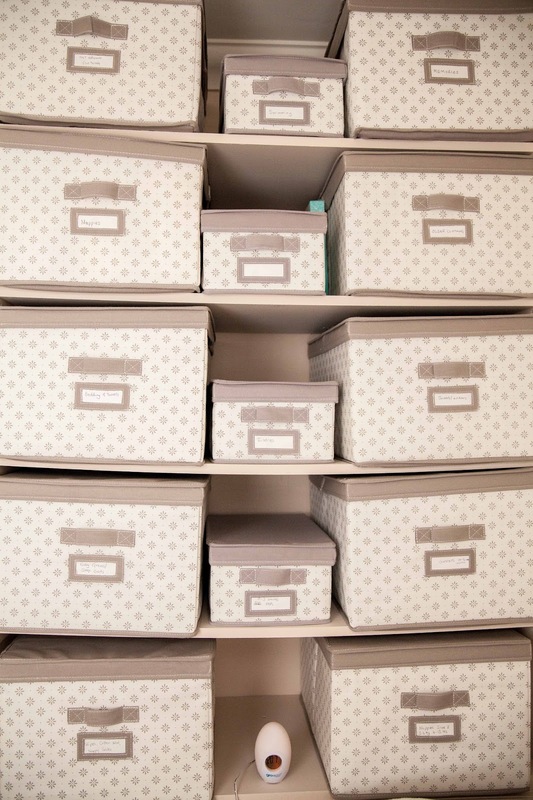 With a little organisation you can have an organised space for the little one. 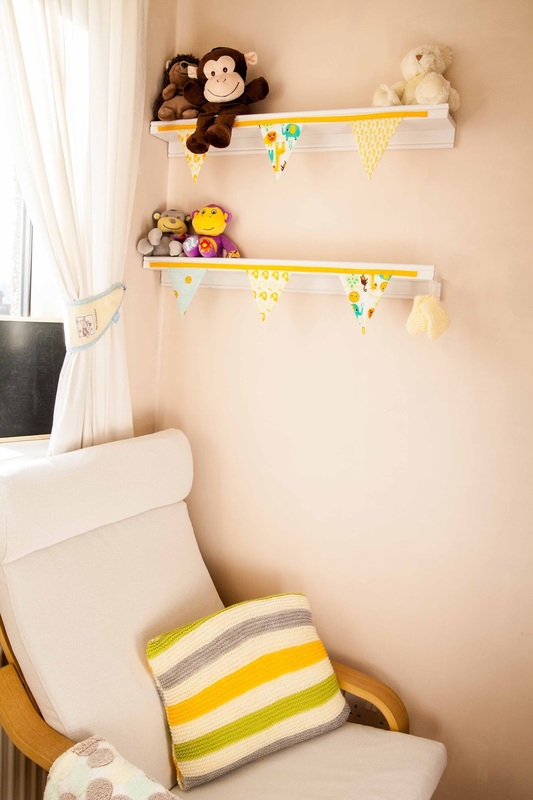 We went with a neutral design for the nursery as we hadn't found out whether we were having a boy or a girl. And to be honest I prefer a more neutral design. We kept things quite simple. 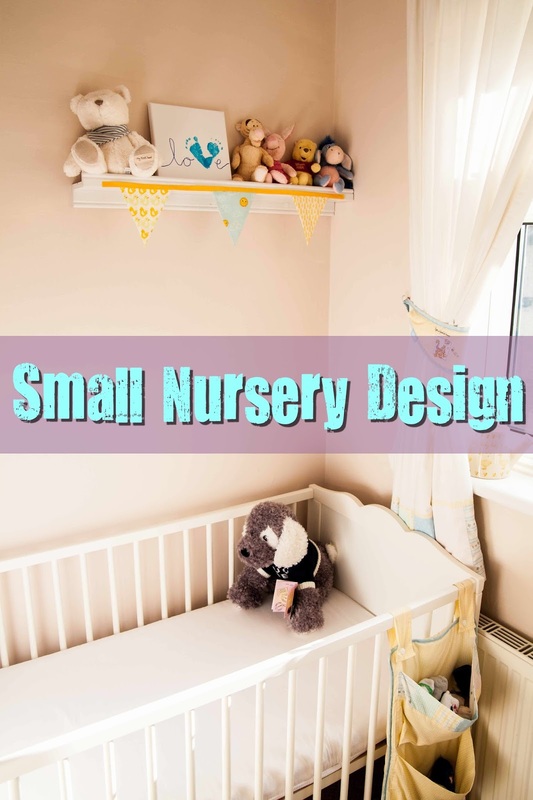 Our aim was to have a nice looking room, with places for some soft toys, books, plenty of storage, a place for baby to sleep and some where to sit. I bought a nappy organiser from eBay that cost just a few pounds. It's hanging in the window as I had no where else to put it. 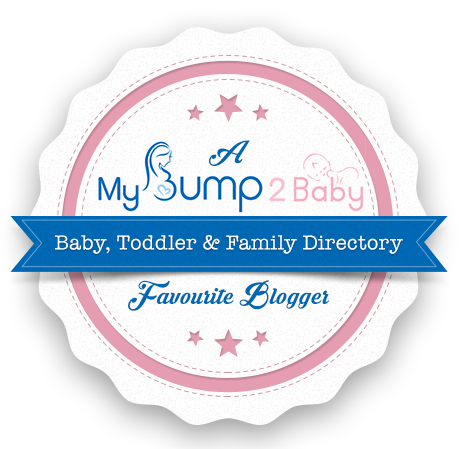 I use it for muslin cloths and bibs. On the window ledge is a train with our boys name - given as a gift. 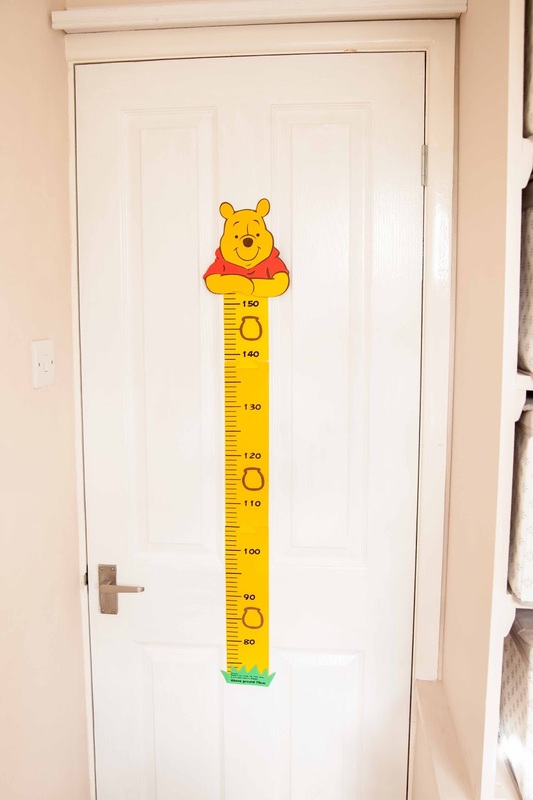 Curtain tie backs are yellow with Winnie the Pooh characters on. 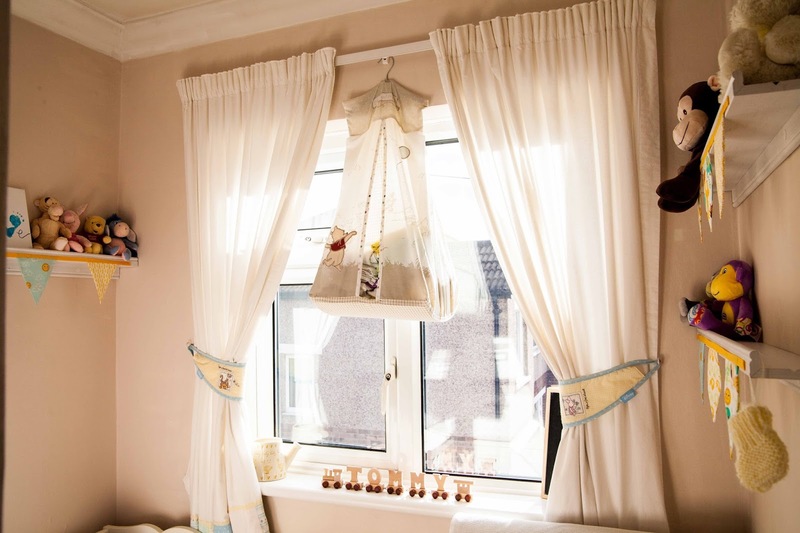 They came as a set from eBay with some curtains and a cot tidy (see below). 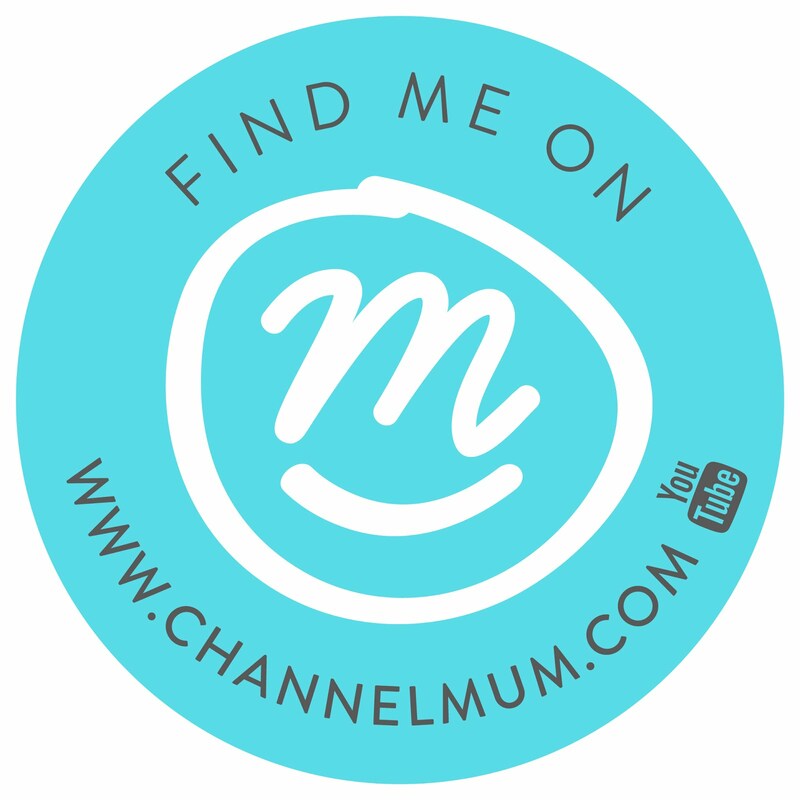 The cot tidy houses socks, lotion and any small item I need to get to on a regular basis. 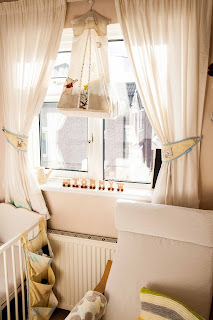 The cot also came from eBay for around £25. It's a small cot to fit in the small room. It just about fits in the space available. Picture shelves from Ikea. 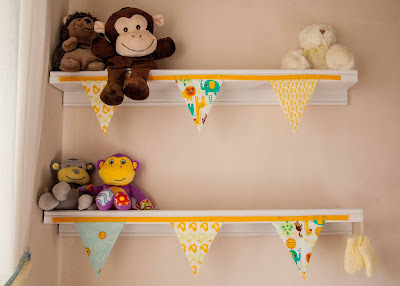 They provide space for small soft toys, pictures and books. I made the canvas with Love on and foot prints. This was my babies foot prints when he was less than a couple of weeks old. Chair purchased from Ikea in a neutral colour. Blanket over the arm was a gift from friends at work. I keep the blanket there in case my baby gets cold while we read books or sing. Knitted cushion handmade by my lovely sister. The chalk board sitting behind the curtain cost £1 from the pound shop. I use it when taking my babies month photos. More shelves on the opposite wall to where the cot is. The bunting was a gift from a friend. It came as one long strip. As the room is so small I felt keeping it as one length would over power the room. I decided it would look much better as a trim on each shelf. The booties hanging on the shelf were also a gift from my sister. Unfortunately they were a little too small for my babies feet. There's a "box" over the stairs in the room. I've seen some people build a wardrobe over this space. We decided to build shelves and purchase storage boxes. 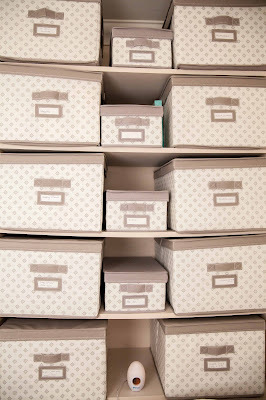 Canvas boxes purchased from Ikea in a neutral colour. It looks like a lot of boxes, but believe me you soon fill them. box for wipes, nappy sacks and cotton wool. 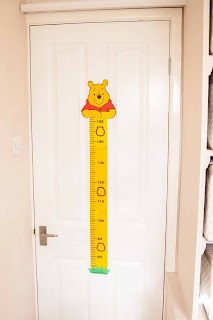 On the back of the bedroom door is a height chart, purchased for £1 from the pound shop. Even though the room is small I really like what we've done with the space we have. It provides for all our needs without feeling too over crowded. I plan to put a lamp on the wall as the main light is a little over powering. This was worth every effort!